The 2018 GTOAA Nationals is just three weeks away. We’ve been asked if it were possible to extended registration beyond June 1 as many folks want to attend however with work and vacation schedules, incurring a late fee would be a hardship for some. We listened and we did! We extended registration until June 8. We then decided, lets waive the late fee entirely. So; There will be NO LATE FEE applied for this convention! We want YOU and your PONTIAC at our convention!! Forget the Late Fee. So, Event Registration will remain, you must register for the convention. Those entering a car for show at the convention there will be NO LATE FEE. After June 8, any car entered will be automatically placed into the Street Legends Display. The Street Legends Display is open to ALL PONTIACS no matter what condition, you have it, BRING IT! The S.L. Display is a NON voted for or points judged display. All Cars entered into the Street Legends Display will receive a National Award, our THANK YOU for bringing your car out!! Online registration for the convention will end June 26. If you cannot register for the convention before June 26, you can register at the convention when you arrive up until 10 am Friday June 29. Not a GTOAA member? You do not have to be a GTOAA member to register for the convention or enter your car into the POPULAR VOTE Show or Street Legends Display. Simply register for the convention with the appropriate fee,and bring your PONTIAC. We want YOU THERE! You will be eligible to participate in all activities and attend the Saturday night Awards Banquet and witness the first 10 inductees into the Hall of Fame as they are honored. There are NO future GTOAA Nationals scheduled to be in the east for the foreseeable future. This is it. 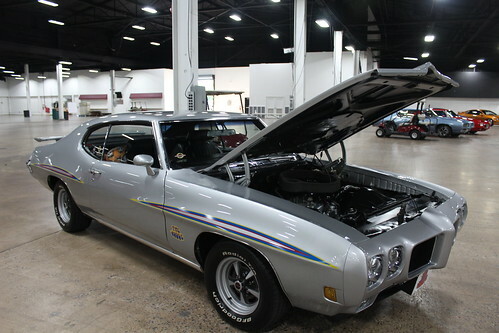 Come out and meet Pontiac Legends, see GTOs from all over the country, attend technical seminars presented by Pontiac Greats, and visit the MANY product and swap meet vendors. Your next GTO may just be at this convention. The 39th Annual GTOAA Nationals is now 1 week away, final preparations are now underway. Online registration will end June 26. Registrations will be accepted at the convention. Concours registrations are still being accepted but will end Wednesday June 27, there is still room inside, we encourage anyone wishing to enter a car into the concours show to do so asap. All indoor display cars must be inside by Wednesday the 27th. Concours Judging day is Thursday June 28. Those registering a Pontiac for the outdoor show, will be entered into the Street Legends Display. Much attention has been generated for the 1964 Pontiac Banshee XP-833 prototype. The Banshee will be on special display throughout the week for all registered participants to view up close. For many, this may be the only time they’ll get a chance to see this 1 of 1 piece of Pontiac history. One week from today, the Pontiac Preservation Association’s PONTIAC HALL OF FAME’s Class of 2018 will be introduced at their Pontiac Show at the Max Performance/Pypes Exhaust facility in nearby Hatfield, PA. Those elected into this year’s P.H.O.F. from the list of candidates voted on by Pontiac enthusiasts will be honored and then receive their Lifetime Pontiac Achievement Awards at our Awards Banquet Saturday evening June 30. Great show and wonderful people. Does anyone know where a list of award winners is posted?